Paul. McCartney put on an amazing three hour show with old hits to sing along to and new hits to entertain. Definitely got our money's worth seeing this consummate showman. What a fantastic show by Paul McCartney and his band, he truly is amazing. The stadium was full to capacity and the atmosphere was electric. This was our first visit to the SEEC Hydro arena and it was easy to find, well signposted, for visitors to the city. Staff were very helpful directing everyone to their seats. Although we live 180 miles away we would not hesitate to return to this stadium. The original and the best; there can be no doubt of the significance of Paul McCartney. Pioneering not only the sound but defining what it is to be rock and roll, McCartney changed the way the world listens to and experiences music as part of The Beatles. He has continued to revolutionise contemporary music working with his band Wings and as a solo artist. 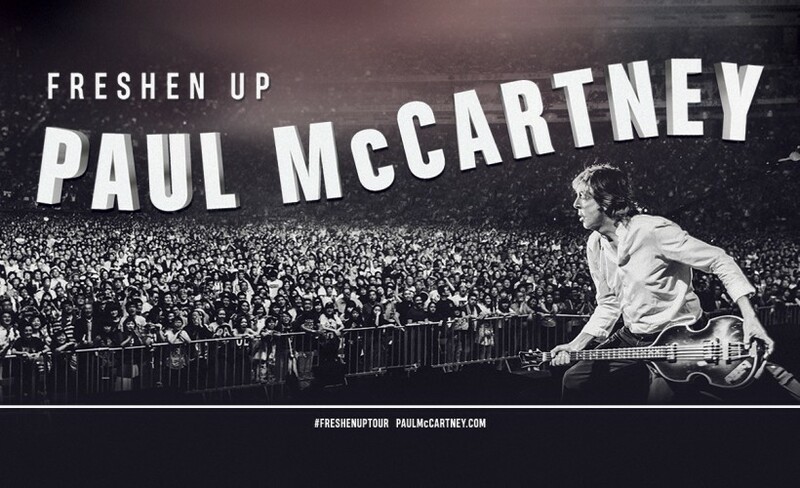 Catch Macca as he plays major gigs at The SSE Hydro in Glasgow and The O2 Arena in London during December 2018. Paul McCartney concert tickets can be booked through Gigantic right now. But given their massively appeal they are expected to sell very quickly so book yours before they are gone. Gigantic has a huge range of essential gig tickets so stick with us to enjoy a great service in providing you an unforgettable experience. The excitement continues to build and we expect Paul McCartney concert tickets to sell very fast. Plus, with only limited amounts being put on sale by the event organisers, you will have to act quickly and place your booking before they all go. If you have any questions, then contact our dedicated customer service team who can assist with every question when selecting from our huge range of essential gig tickets. Remember, award winning ticket vendor Gigantic is the very best place to come to make a stress-free booking before enjoying your big night out.